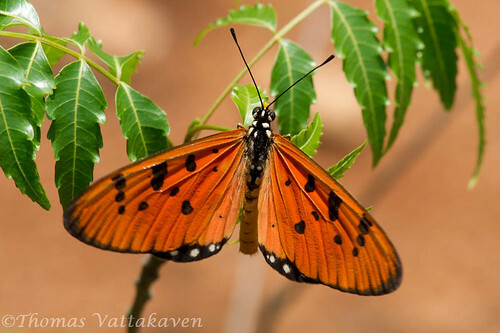 The Tawny Coaster (Acraea terpsicore) is a common butterfly found in India and Sri Lanka. 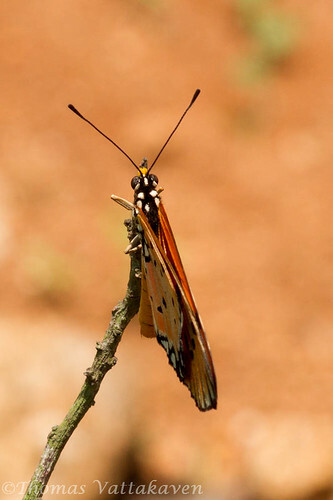 The male, shown here, is brightly coloured in orange, and lined with black markings. 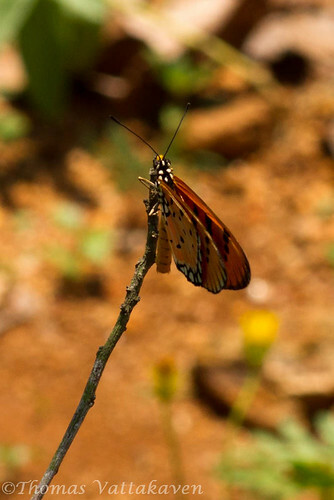 It is a slow flying butterfly that is avoided by most insect predators, as it produces an oily and smelly yellow liquid when handled that makes it unpalatable. 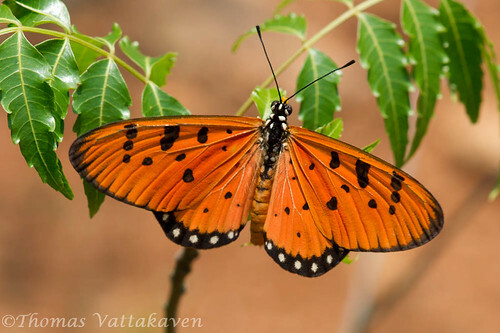 This because the butterfly breeds on plants of the family Loganiaceae and species of Passiflora which contain toxins and are eaten by the caterpillar. The female is much duller in comparison. These images were taken mid afternoon, under bright sunlight with my Minolta 100mm f2.8 lens. I generally wouldn’t use the 100mm for butterflies, but this one is easily approachable and remained in position until I could touch it. 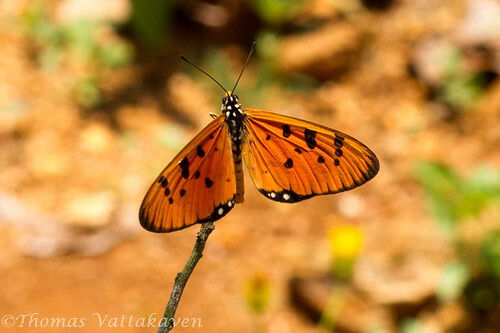 Very nice butterflies, but your excellent photos show them more beautiful to our eyes. Gorgeous macros! My sincere congratulations!